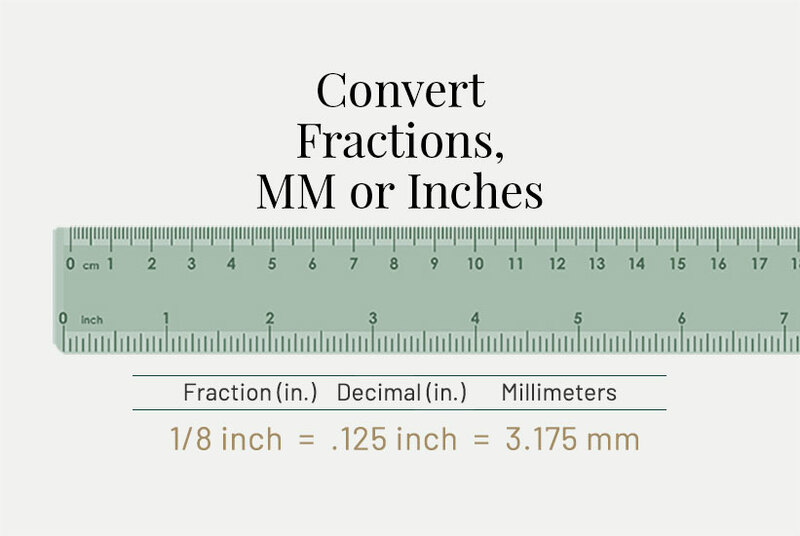 An Easy Chart for Graphic Designers: Convert Inches to MM and Convert MM to Inches with this Fractional Equivalents Chart. Convert Inches to MM and Convert MM to Inches, starting with fractions. Bookmark this page as a reference! Book designers or any graphic designer may find this chart helpful for everything they create in InDesign or Photoshop. Please add a link from your website, so you can easily find this chart. Also see paper weight conversion and heavier stock for more information. You can also change preferences in Adobe InDesign and Adobe Photoshop, to convert inches to mm or convert mm to inches. Select Edit > Preferences, then select Units & Increments and make your change. Select Edit > Preferences, then select Units & Rulers and make your change. Call (844) 603-1777 toll-free, or (425) 603-1777 in the Seattle area. You can request a quote today! Please bookmark this chart to convert mm to inches and inches to mm.